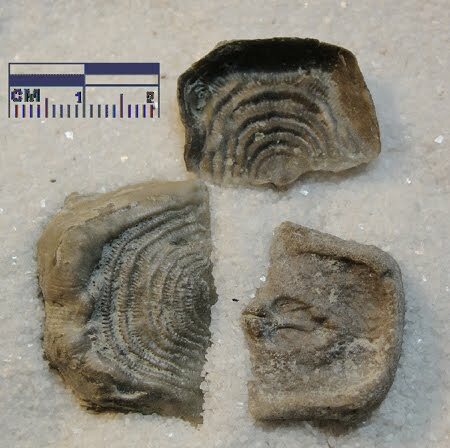 These pictures of maroon colored brachiopods are from the Middle Devonian Period Silver Creek Limestone of Clark County, Indiana. 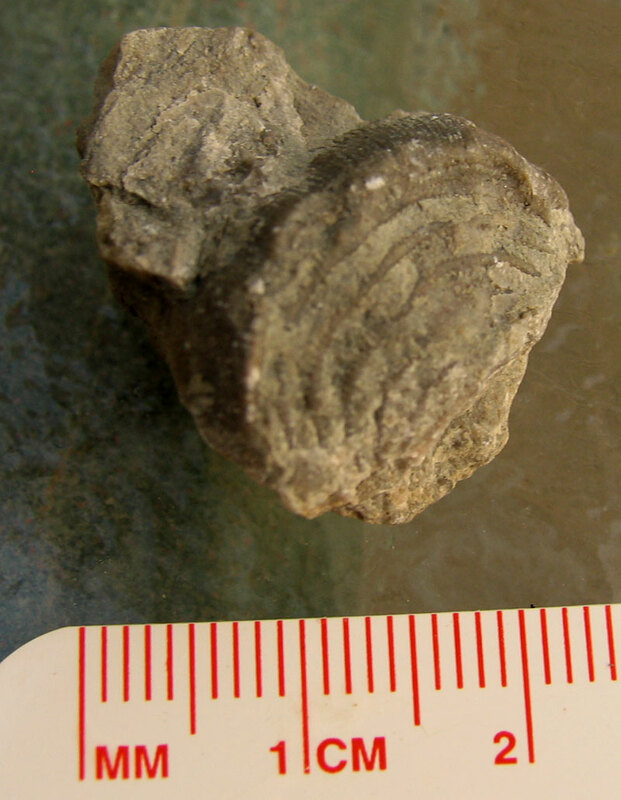 I believe the identification of this brachiopod is Leptaena rhomboidalis. 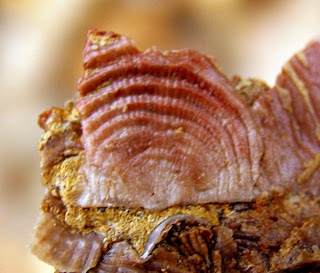 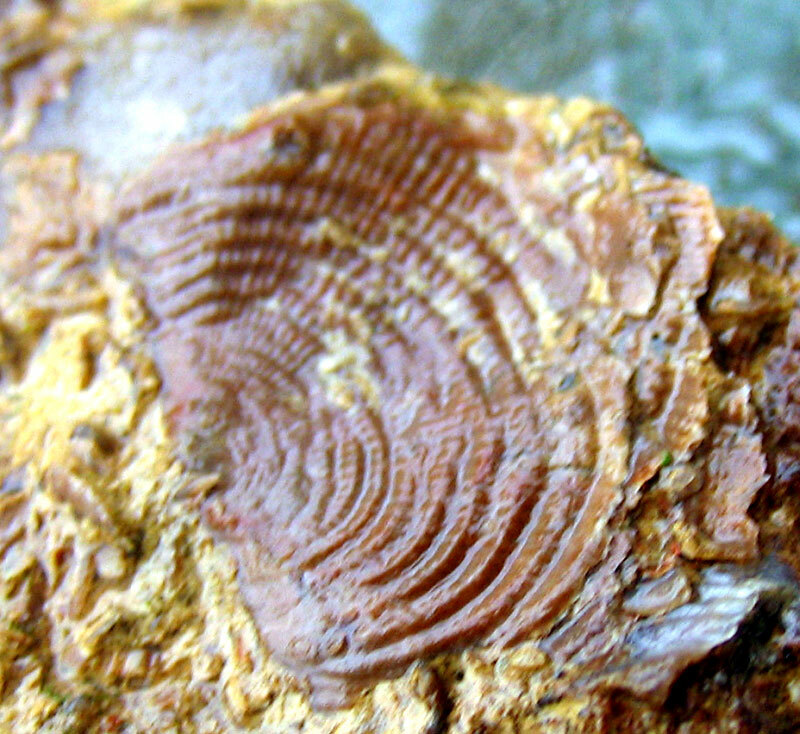 Mi amigo, Señor Herb, provided some images of fossils he photographed from Benton County, Tennessee. 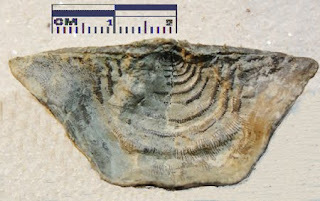 These brachiopods are called Leptaena acuticuspidata of the Lower Devonian Period (Birdsong Formation). After getting the images it inspired me to find the local brachiopods and put the images together for this post. 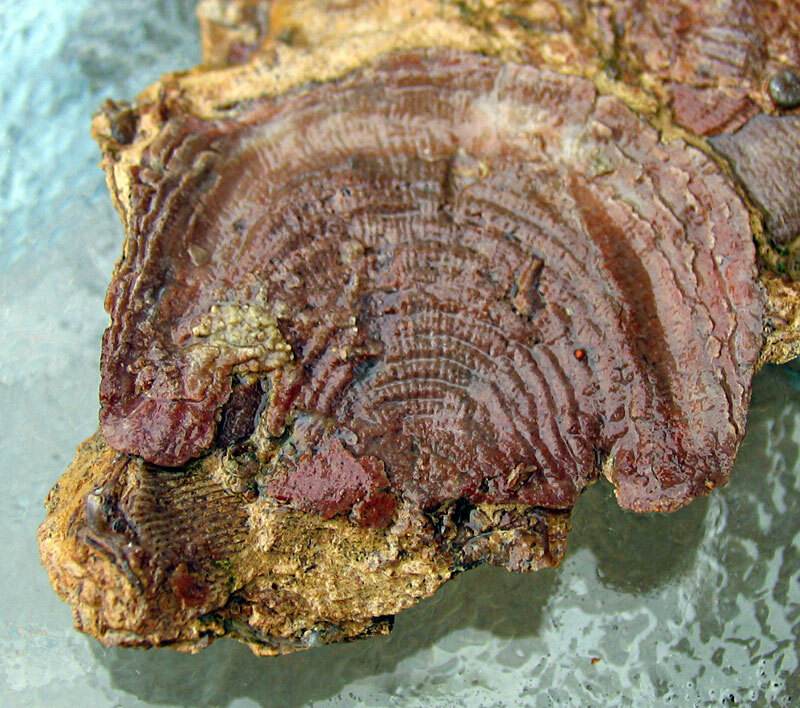 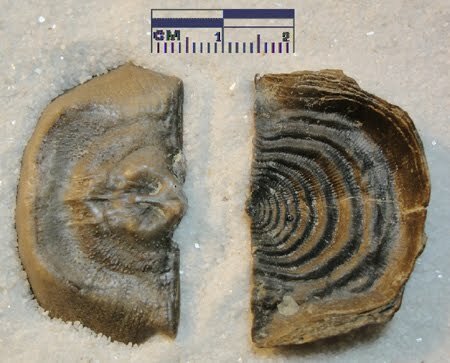 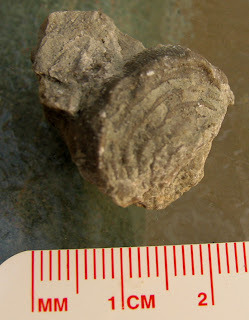 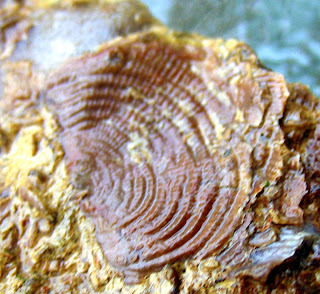 Update: Here is a picture of a Silurian Period Leptaena waldonensis from the Waldron Shale of Clark County, Indiana.